The nuclear power industry and its political backers could not afford to let the Vogtle nuclear project collapse so soon after its twin in South Carolina (the Summer 2 and 3 reactors). It’s hard to overestimate how desperate the U.S. nuclear industry is to keep Vogtle construction going. Rightly or wrongly (more likely the latter), the industry views the completion of Vogtle as vital to its future. Vogtle 3 and 4 are now the only new reactors being built in the U.S., more than a decade after the proclamation of a “Nuclear Renaissance,” which led to license applications for 30 new reactors between 2007 and 2010. 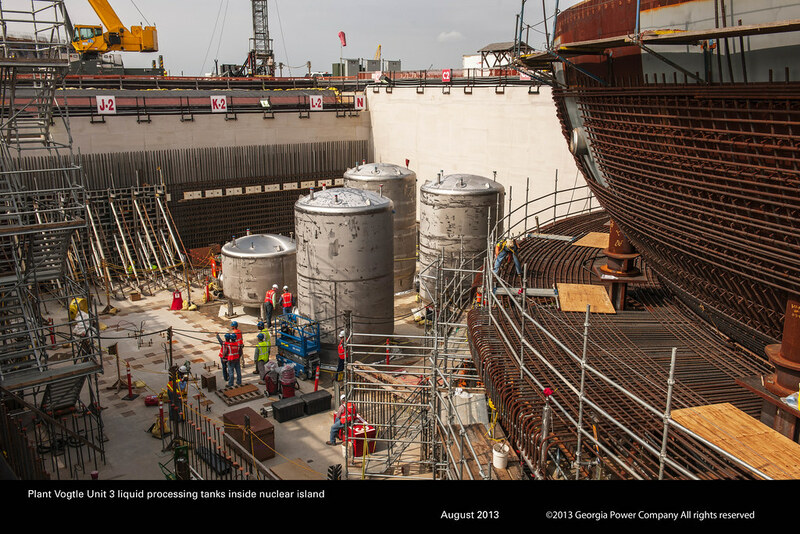 While many of the licenses were approved, only Summer and Vogtle have ever started construction – twin projects, both using Westinghouse’s AP1000 reactor design. By this year, with each of the reactors less than 40% built, they had bankrupted Westinghouse – the largest nuclear designer/builder in the world, responsible for about 50% of reactors around the globe. Westinghouse now says it will not undertake any new reactor projects, nor will it complete Vogtle and Summer. And with Summer 2 and 3 cancelled, it means 28 of the 30 “Nuclear Renaissance” reactors have now been formally abandoned or indefinitely shelved. The story of Summer is one of stark opportunity costs, one that looms over Georgia PSC’s decision to charge ahead with Vogtle: South Carolina utilities wasted ten years and $9 billion on the project. Ratepayers are paying 18% of their monthly bills for two reactors that will never generate a single watt of electricity. They were still 5-10 years and $16 billion from completion – a completely rational basis for canceling the project. But had the utilities eschewed the nuclear option in 2007 and invested in energy efficiency and renewables, not only would they have reduced carbon emissions and electricity usage significantly by now, South Carolina families and businesses would have lower electric bills today and the state could have built a strong, sustainable clean energy economy and created thousands of jobs. If Georgia had canceled Vogtle last week, the nuclear industry’s case that it has a meaningful role to play in the country’s energy future, addressing climate change, or anything else would be self-evidently false. With at least two reactors being built that could operate into the 2060s, there’s at least a chance that the US will still have some nuclear-generated electricity in the late 21st Century. But the industry can’t keep itself going on the backs of just two over-budget, hopelessly delayed, unnecessary reactors. Georgia doesn’t need Vogtle 3 and 4, and it never did. But by the time the reactors are completed — if ever — that will be the world’s most expensive novelty item. Of course, that farce will quickly turn to tragedy if those nuclear mementos were ever to start splitting atoms — generating nuclear waste that will be hazardous for hundreds of thousands of years, and a multi-billion dollar bill for decommissioning the reactors and cleaning up their radioactive mess. With or without Vogtle 3 and 4, the only future nuclear has left in the U.S. is keeping increasingly old, dangerous, uneconomical, and uncompetitive reactors going for as long as it can – while solar, wind, energy efficiency, storage, electric vehicles, smart appliances, microgrids, and other modern, more environmentally sustainable, consumer-friendly, and increasingly affordable energy options take off.